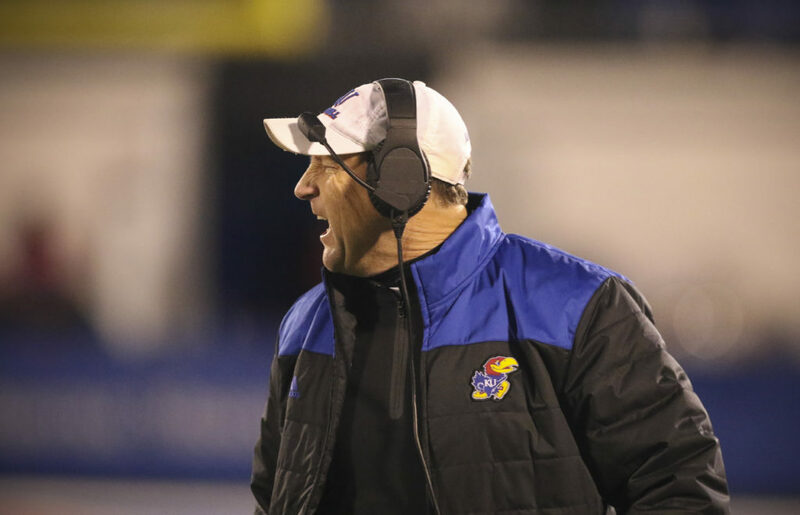 Kansas head coach David Beaty yells at a player during the third quarter on Saturday, Nov. 18, 2017 at Memorial Stadium. 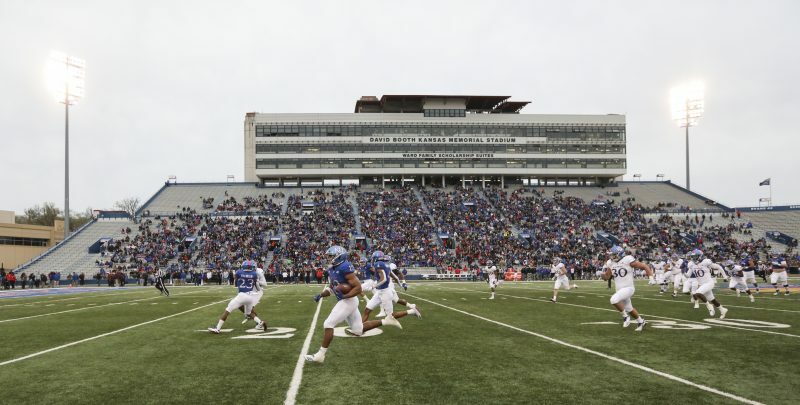 Athletic directors in search of new head football coaches find that there are advantages and disadvantages to hiring assistant coaches to their first jobs as head coaches. One advantage is that they tend to command smaller salaries. 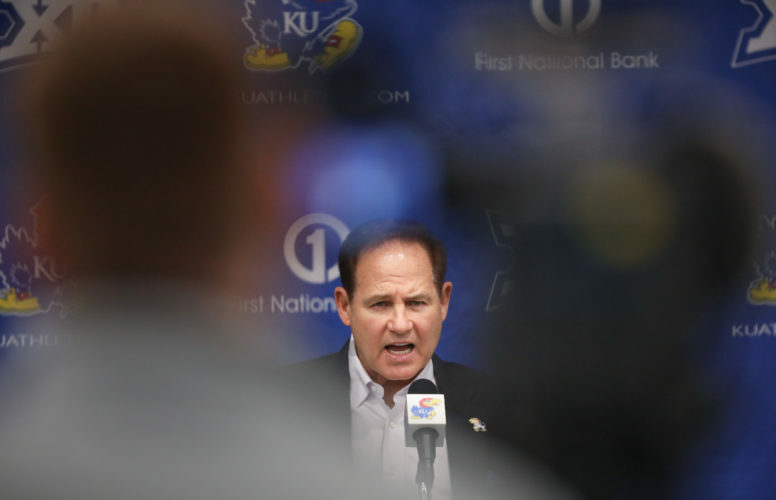 For example, David Beaty’s salary his first two seasons at Kansas was $800,000. One disadvantage is that assistants have to assemble their staffs from scratch, something they never have done. An existing head coach can bring most of his staff with him, his assistants’ roles already defined, the staff chemistry set. That enables the new staff to hit the ground at full speed without an adjustment period. 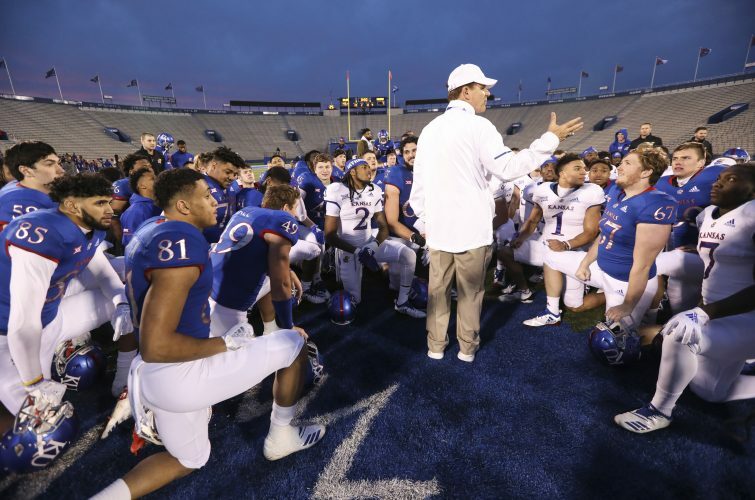 Developing a stable staff with strong chemistry has been one of the many challenging areas for Beaty, as evidenced by incredibly high turnover, the latest being Beaty’s midseason firing of offensive coordinator Doug Meacham. All head coaches come with a stronger background on one side of the ball. In Beaty’s case, that would be offense. He was a receiver as a player and with the exception of one year as an offensive coordinator at Rice, spent most of his career coaching receivers. In some cases, working for a head coach from the same side of the ball is good news because he’ll have a tendency to be more understanding of the need to load up on scholarship players on that side, at the expense of the other. But if the head coach is a meddler, a coordinator is better off working on the other side of the ball. Defensive coordinator Clint Bowen is the only one on Beaty’s staff to hold his same job for all four seasons. Beaty’s close friend Kenny Perry has been on his staff the whole time but moved from cornerbacks to coordinator of special teams this season. 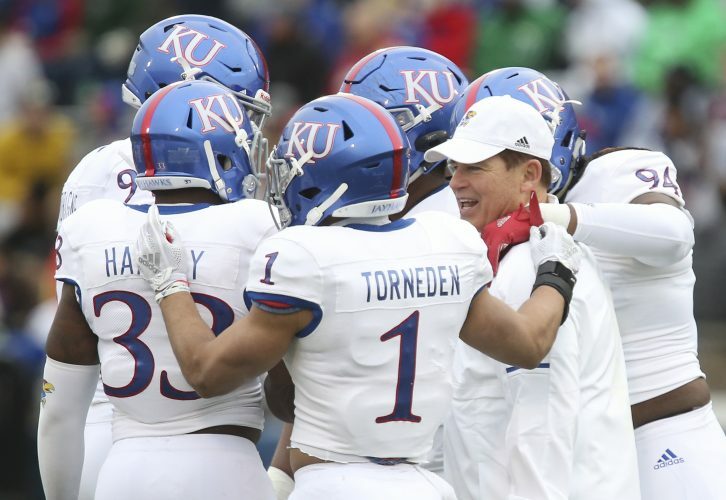 Meacham coordinated the Kansas offense for one-and-a-half seasons, the longest Beaty has allowed anyone to keep that job before taking over himself. Meacham said no to Beaty the first time he asked him to come to Kansas before the 2015 season, deciding to stay at TCU. Beaty turned to Rob Likens, stuck with him for a year, and then demoted him to what the head coach termed “walk-around guy.” Likens now is Herman Edwards’ offensive coordinator at Arizona State. Interestingly, when Beaty took the Kansas job, Lincoln Riley, second-year head coach at Oklahoma, was at the top of his wish list for an OC. Riley then was at East Carolina, working as OC for Ruffin McNeill, who became Riley’s defensive coordinator earlier this week after the firing of Mike Stoops. Riley told Beaty thanks, but no thanks, and five weeks later Bob Stoops hired Riley to become his OC. It’s worth wondering where Riley would be now if he had come to work for Beaty at Kansas. He might have lasted a year in that position and then would have been demoted to walk-around guy. By firing Meacham, Beaty now has nobody on staff with experience coordinating an offense, which can’t hurt his already strong job security for the remainder of the season. Clearly, Beaty and Meacham had differences, and Beaty just couldn’t keep himself from meddling with the offense. As a result, Beaty stood on one side of the rope, Meacham the other, as they played tug of war, a prescription for an offense to spin its wheels. The best-case scenario might have been for Meacham to stay and Beaty to stay away completely from the offense. If so, the second-best scenario was to let go of Meacham and have one man calling all the shots, even if that man, Beaty, seems to encounter such great difficulty calling shots. One of many differences between Beaty and Meacham came at quarterback. Meacham seemed to prefer Peyton Bender, the best pure passer on the roster. Beaty seems eager to see what Miles Kendrick can do. 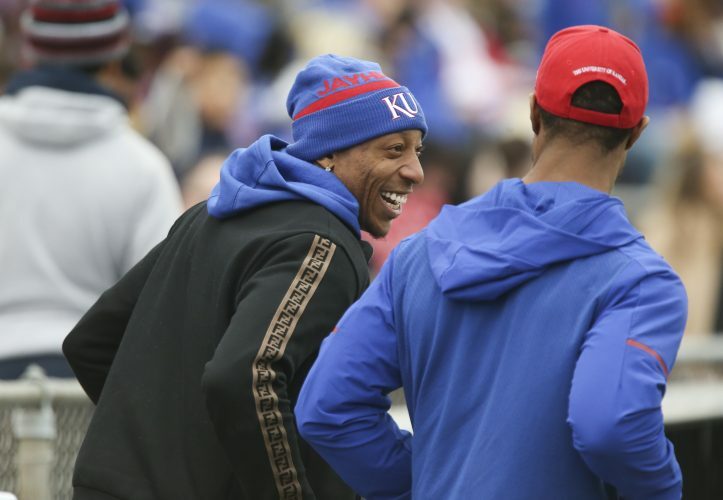 And then there is Carter Stanley, who had the best game of the season from a KU quarterback against Oklahoma State, probably the best of any QB under Beaty against a Big 12 opponent. It’s difficult to look at Beaty’s firing of Meacham as anything but the last gasp of a desperate man.